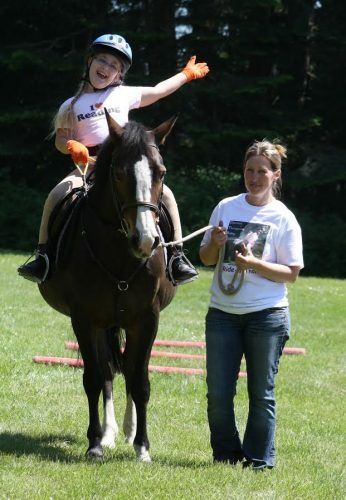 The Cowichan Therapeutic Riding Association needs you! If you are interested in making a difference in your community, and enjoy people and horses we have the perfect opportunity for you. We are looking for Horse Handlers and Side Walkers to assist our riders with therapeutic riding lessons. Whether you are new to horses or someone with experience, you can make a difference in a person’s life by volunteering with Cowichan Therapeutic Riding. Training is provided. Horse Handlers will lead a horse during a lesson and are an extremely important part of running a successful therapeutic riding lesson. Horse Handlers must be able to walk for up to 45 minutes at a time. Side Walkers walk along side the rider during a lesson and assist the rider at the direction of the instructor. CTRA is located at Providence Farm. To learn more or to apply contact our Volunteer Coordinator.